DUBLIN, May 29, 2018 /PRNewswire/ -- Allergan plc (NYSE:AGN) today issued a voluntary recall in the US market of one lot (Lot# 5620706, Expiry May-2019) of TAYTULLA® (norethindrone acetate and ethinyl estradiol capsules and ferrous fumarate capsules) 1mg/20mcg, 6x28 physicians sample pack, indicated for use by women to prevent pregnancy. Allergan recently identified, through a physician report, that four placebo capsules were placed out of order in a sample pack of TAYTULLA. Specifically, the first four days of therapy had four non-hormonal placebo capsules instead of active capsules. 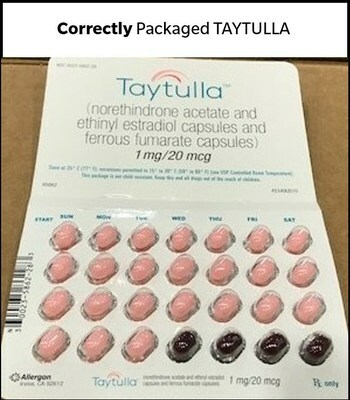 As a result of this packaging error, oral contraceptive capsules, that are taken out of sequence, may place the user at risk for contraceptive failure and unintended pregnancy. The reversing of the order may not be apparent to either new users or previous users of the product, increasing the likelihood of taking the capsules out of order. If patients have concerns regarding the possibility of an unintended pregnancy they should consult their physician. This product is an oral contraceptive indicated for the prevention of pregnancy in women who elect to use oral contraceptives. 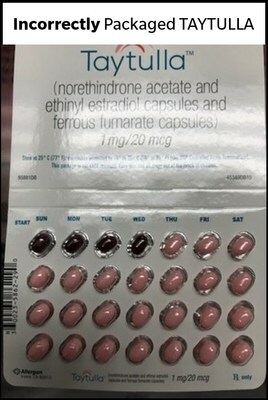 The TAYTULLA pill pack is a 28 count blister card that has 24 "active" pink softgel capsules (with hormones) with "WC" printed on the outer shell in white to be taken for 24 days, followed by 4 maroon softgel capsules (without hormones) also imprinted with "WC" on one side to be taken for the next four days. 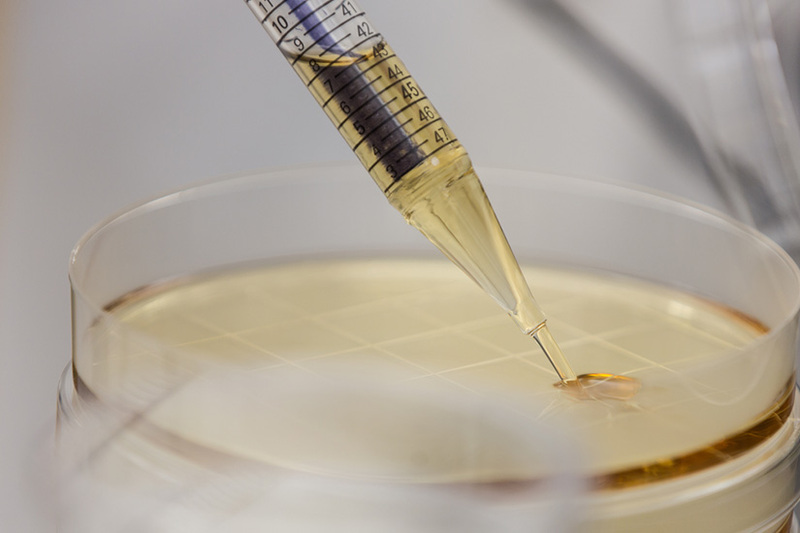 If you are a patient in the U.S. who has used a TAYTULLA sample pack from lot 5620706, Exp. May 2019 since August 27, 2017, and are concerned that you may be impacted by this issue, please consult with your physician. This product was distributed Nationwide to healthcare providers. Please refer to the affected lot number as well as the pictures below of the affected product. Allergan is notifying customers by recall letter and is arranging for return of all recalled sample pack product with the lot #5620706 Exp. May 2019. Consumers who have the sample pack product with the associated lot number should notify their physician to arrange a return. Consumers with questions regarding this recall can contact Allergan by phone at 800-678-1605 8am-8pm EST Monday through Friday. Consumers should contact their physician or healthcare provider if they have questions. For more information about TAYTULLA and the full prescribing information, please visit www.taytulla.com.